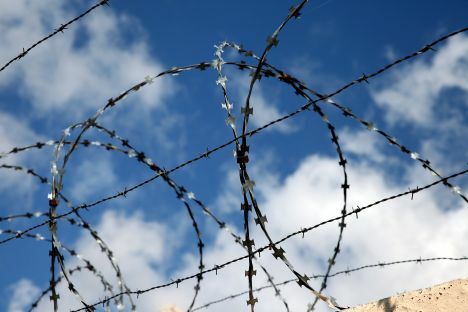 People who are currently isolated from society in prisons should not be kept isolated – they should be allowed to re-socialize, said Latvian Justice Minister Jānis Bordāns at a press-conference about the study on former inmates’ abilities to re-socialize. The board chairman of the company responsible for the study – SIA Comperio – Gunta Misāne explained that the study came to the conclusion that 63% of Latvian residents are acquainted or have contacted with former prison inmates. 80% of interviewed people believe a person who has committed a crime once is able to clean up, whereas only 19.6% believe the same about people who have committed crimes multiple times. The study reveals that 83% of Latvian residents would have no objections if former prison inmates worked in low-qualified jobs. Still, a majority of respondents would oppose former inmates having jobs in state and municipal institutions. After interviewing former prison inmates it was revealed that 38% of them have experienced negative or discriminatory attitude from other residents. Former inmates said they need the most support in strengthening family ties. They also mentioned needing assistance finding jobs. A survey among employers revealed that only 14% of them would be prepared to employ former inmates even though 81% of them said a person who has committed a crime once is able to clean up and reform. Minister Bordāns said former inmates do not disappear – they remain part of society. The minister also outlined that work here starts not in prison but in kindergartens – it starts with proper education. He stressed that quality of education has a direct impact on the level of crime. Bordāns explained that modern rehabilitation methods have helped reach a conclusion that the bigger the involvement of society the better results are achieved. The minister also said it is important to make sure prisons are humane, not tortuous. «Our goal is making one more step forward in creating a consolidated and healthy society,» added the minister. Latvian State Probation Service Chief Mihails Papsujevičs said one of the most important topics is cooperation between institutions. SPS chief added that inter-institutional meetings are organized on a regular basis to discuss re-socialization of former prison inmates, specifically close to their release date. Papsujevičs explained that one of the typical problems experienced by former inmates is the lack of information. Deputy chief of SPS Tatjana Trocka said for several years now re-socialization has been part of the rehabilitation programme. She explained that all of the people employed in the system are involved in the system. In regards to actual numbers, Trocka said a total of 135 inmates were involved in Prison Administration addiction reduction programme last year. 617 inmates were involved in re-socialization programmes, 6,027 were involved in psychological assistance programmes, 1,789 inmates were involved in education programmes, and 874 inmates were involved in employment programmes.